Combine these deals to get the best bargain on contact lenses at Walgreens. Save big on prescription contact lenses by taking advantage of a special offer from Walgreens and Masterpass. Right now, contact lenses purchased through Walgreens are 30% off when you enter the promo code DISCOVER8 at checkout. Walgreens is also including free shipping to sweeten the deal. The savings don't stop there, though. You can save even more if you pay through Masterpass, which will take $10 off purchases of $50 or more. Additionally, while the payment service is operated by Mastercard, you can use any credit card to check out. These deals work on multiple orders, so take advantage of them while you can. As a reminder, you will need a prescription to purchases contact lenses, and this offer is not a replacement for your annual eye exam. Additionally, some contact brands are ineligible for this deal, so you may not be able to find exactly what you're looking for. 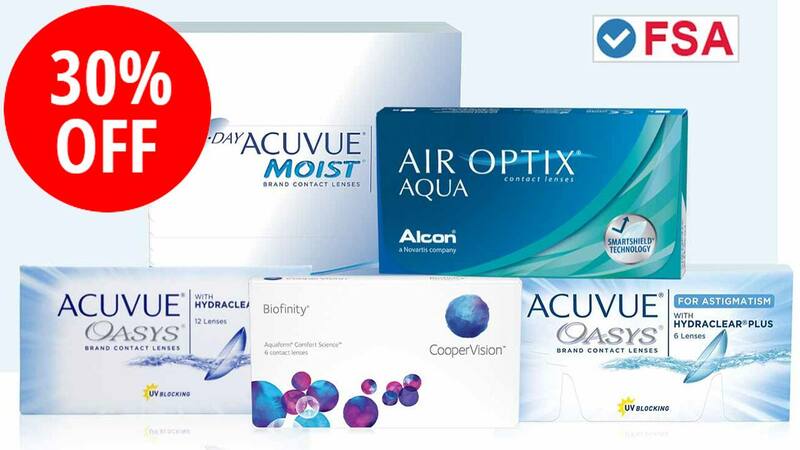 If you've got a valid contact lens prescription on hand, this is a great time to stock up. Special thanks to Slickdealer couponmit for posting the original deal thread! Check out more great Walgreens deals and discounts at our Walgreens store page. Eric Vega is a Puerto Rican writer and filmmaker working out of Burbank, California. He has covered a plethora of topics in his writing including the looming threat of invasive species, the true spirit of the Juggalos, and why space travel will always be a carnival of nightmares.